Whether it be sledding or skiing, the winter season comes with lots of opportunities for outdoor fun. However, sometimes these snowy adventures can take a dangerous turn. 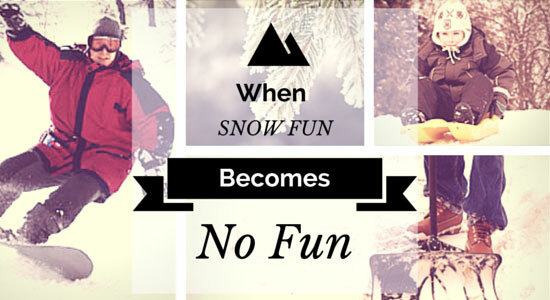 Learn how to help prevent the potential hazards of these popular winter pastimes. Some call it sledding while others may call it sled riding, but regardless of what name you choose this is one of the most dangerous of all outdoor winter activities. Sled riders are more likely to be injured during collisions than skiers or snowboarders, and sadly many of these injuries happen to children. Signs of frostbite appear quickly on exposed skin when it's especially cold. Wear a winter coat, water-resistant pants, gloves, hats, and boots. Nearly 30% of children hospitalized after a sledding accident suffered traumatic brain injuries—and 10% had a permanent disability. Protect your head with a helmet designed for winter sports or just wear your bike helmet. Never sled on a hill that ends in a street or parking lot. Sled during the daytime, or on hillsides that are well lit at night. 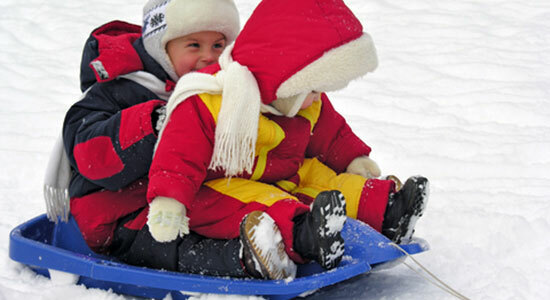 Check out our helpful Sledding Safety Infographic for even more Sledding Safety Tips. 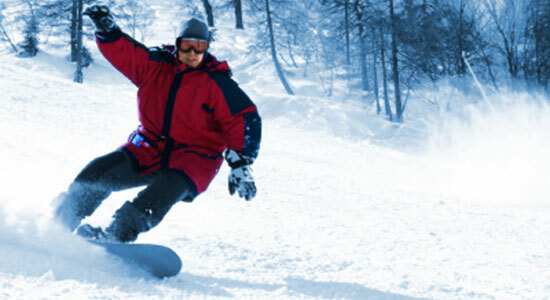 Recent studies have found skiing or snowboarding to be just as dangerous as playing football or bicycling. Skiers and snowboarders are both at risk of sustaining traumatic brain injuries in a fall or in a collision, but each sport also comes with different hazards. 2 out of 3 skiers and snowboarders who had been in a collision but hadn't suffered an injury said that they always wore helmets. If you've hurt your wrist or ankle, think twice before hopping on that snowboard. Wrist and ankle injuries are far more likely among snowboarders. In a fall, it's a skier's knees that are most likely to be injured. The intense force that skiing puts on your knees can tear crucial knee ligaments like your ACL or MCL. Although it may not be one of your favorite outdoor winter activities, many people find themselves participating. Each year, more than 30,000 Americans are injured while trying to manually remove snow and ice from their properties. Clear snow early and often. If multiple inches are expected, don't wait until the snow is packed and heavy on the ground. Break out the shovel or snow blower after a light covering to avoid over-exerting yourself later. Shoveling can be a vigorous exercise. Stretch beforehand, and try some light exercise before you begin the actual snow removal. If your snowblower gets jammed, stop the engine and wait more than 5 seconds. Use an object not attached to your body to clear wet snow or debris from the chute. Beware of the recoil of the motor and blades after the machine has been turned off. For even more helpful tips for snow and ice removal, check out our guide on How to Kick Snow to the Curb. We hope all of your snow-filled adventures are safe this winter season, but if you're ever injured in a winter driving accident, call us for a free consultation. We're available any time. Sources: “Is skiing the world's most dangerous sport?” Theguardian.com. January 20, 2015. 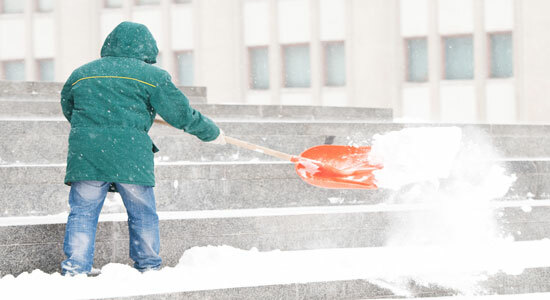 “Prevent Snow Shoveling and Snowblowing Injuries.” Orthoinfo.aaos.org. January 20, 2015.